Self-help literature is a popular and profitable field. There are books available that address a variety of topics, such as managing emotion, negotiating complex relationships, developing better communication skills, and increasing self-esteem. Have you read self-help literature in the past and now wonder exactly how you benefited? Or have you considered picking up a self-help book? They Provide Quick and Easy Interventions. When you’re facing a problem and looking for a simple coping strategy, a self-help book may be able to offer several suitable ideas. 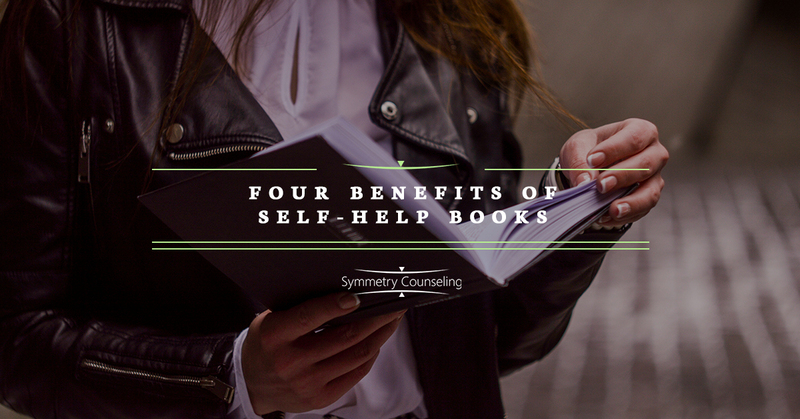 Books dedicated to self-help often provide many easy interventions you can try on your own. For example, Dr. Dennis Greenberger and Dr. Christine Padesky’s “Mind Over Mood: Change How You Feel by Changing the Way You Think” provides step-by-step worksheets that are designed to assist the reader to manage their moods. These worksheets are based on cognitive therapy methods and can be used on their own or in conjunction with professional therapy. There are many self-help books currently on the market that provide simple interventions for a wide range of problems. If you’re specifically seeking interventions or solutions, make sure to look for a book that provides exercises or strategies you can do on your own. They Explain Scientific Data Using Accessible Language. Scientific studies provide important data that may help you understand and manage whatever problem you are facing. However, scientific reports can often be difficult to understand due to their complex, scientific jargon. Self–help books, on the other hand, are written for a general audience. Self-help books either explain their jargon or try to avoid using jargon at all. Dr. Francine Shapiro’s “Getting Past Your Past: Take Control of Your Life with Self-Techniques from EMDR Therapy” uses layman’s terms to describe data on brain function and EMDR (Eye Movement Desensitization and Reprocessing). Because the language is presented in such an accessible way, anyone can understand how trauma impacts their brain and if EMDR techniques might work for them. In addition to their use of complex terminology, scientific data can often be written in a way that is long-winded and dull. Self-help books aim to present data in a way that is easy to read and entertaining. If you’re interested in scientific data, but would like to avoid trudging through a scientific report, a self-help book may be a good option for you. They Help You Recognize That You’re Not Alone. When you’re experiencing a problem, it may feel as though your experience is unique and no one can relate. Self-help books can provide true stories of people whose experiences or problems are similar to your own. Dr. Jonice Webb and Dr. Christine Musello’s “Running on Empty: Overcome Your Childhood Emotional Neglect” provides many narratives based on the experiences of their own therapy clients. These stories describe cases of emotional neglect and the impact of that neglect later in life. Reading the stories of others, and seeing your own story reflected there, may help you to feel understood and validated. If you’re feeling isolated, look for a self-help book that provides real life stories or case studies. They Offer Inspiration. It takes more than intervention strategies, scientific data, and validation to face your problems—you also need inspiration. Self-help books can act as a source of inspiration. They can help you to feel motivated and ready to work towards self-improvement. Jen Sincero’s “You Are a Badass: How to Stop Doubting Your Greatness and Start Living an Awesome Life” uses humor and direct language to keep you engaged and motivated. If you are seeking motivation, find a book that you can relate to and that personally inspires you. Self-help literature has many benefits and can be a powerful vehicle for self-improvement. In addition to reading self-help books, you might also benefit from participating in therapy. Symmetry Counseling provides individual, couples, and EMDR therapy, to name a few. Contact Symmetry Counseling today to schedule an appointment. Greenberger, D., Padesk, C. (1995). Mind Over Mood: Change How You Feel by Changing the Way You Think. New York: Guilford Press. Shapiro, F. (2013). Getting Past Your Past: Take Control of Your Life with Self-Techniques from EMDR Therapy. New York: Rodale Press. Sincero, J (2013). You Are a Badass: How to Stop Doubting Your Greatness and Start Living an Awesome Life. Philadelphia: Running Press. Webb. J., Musello, C. (2012). Running on Empty: Overcome Your Childhood Emotional Neglect. New York: Morgan James Publishing. Amanda Gregory, LCPC, and Symmetry Counseling do not endorse any of the books identified in this blog.